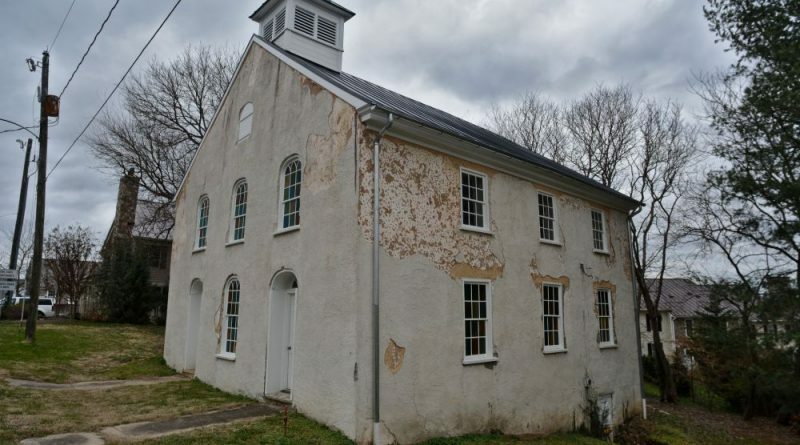 Abandoned for more than two decades, Middleburg’s 190-year-old Asbury Church could soon be revitalized by an organization working to preserve and highlight the history of Loudoun’s black community. Pastor Michelle Thomas, the founder and CEO of the Loudoun Freedom Center, presented the Middleburg Town Council last Thursday with a proposal for the center to restore and preserve the 2,660-square-foot church along North Jay Street and set up the Loudoun Freedom Center African American Museum at Middleburg there. Thomas said restoration could cost up to $700,000 and take 18-24 months to complete. She proposed that the town, which took ownership of the property in 2014 and has worked to stabilize the building, could transfer ownership to the center as a deed of gift, just as the Toll Brothers did with the Belmont Slave Cemetery in November 2017. Thomas, who also is president of the Loudoun Chapter of the NAACP, proposed that the center could use the Asbury church, which has sat vacant since the late 1990s, for multiple purposes—an African American museum, a place of worship that could accommodate the town and visitors staying at Salamander Resort, a wedding venue and a multi-use community center that could be rented out. She said museum visitors could have DNA sampling conducted that could match them with other community groups and relatives, both black and white, in Loudoun who they’ve never known. 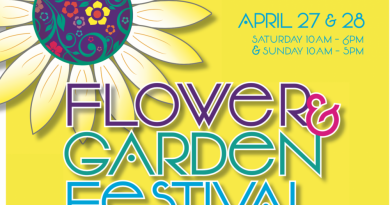 “People are very much concerned and wanting to get to know who they’re connected with and their genealogy in Loudoun County,” she said. Thomas also noted that the Asbury property could become a part of the center’s Journey to Freedom Heritage Trail—a countywide network of historic trails that tells the story of the African American community’s survival and resiliency throughout the centuries. “This will be definitely a tourist attraction,” she said. Councilman Kevin Hazard said he was hesitant to move forward too quickly on the proposal “without a good plan” in place, noting parking on the church property as a key limiting factor. In response, Thomas said that plans for the property would be the same ones the Loudoun Freedom Center uses at its other sites across the county, like its museum at the John Wesley Church in Waterford, which will open in summer, and its proposed museum at the Union Street School in Leesburg. “It’s the same exact plan,” she said. Mayor Bridge Littleton told Thomas that while the proposal was a “great vision,” more detailed work needs to be done before the council can discuss the viability of the proposal. Established in 1829, the Asbury Church was used as a Methodist Episcopal Church until the mid-1850s when a larger church was built on Washington Street. From 1857-1860, the church building was used as a storehouse, government depot and hospital for Confederate and Union soldiers. In 1864, a year before American slaves were freed, the white congregation donated the church to the black Methodist Episcopal congregation, making it the first African-American church in Middleburg. It was renovated in the 1880s and was used continually until 1994 when the congregation merged with the Willisville United Methodist Church. After purchasing the 0.3-acre property in December 2014, the town in August 2017 spent $174,000 to contract with Cochran’s Stone Masonry to install a new roof on the building and perform interior renovations. It’s the oldest surviving church building in the town and is eligible for listing on the Virginia Landmarks Register and the National Register of Historic Places. Thomas is expected to return to the Town Council in the coming weeks with more detailed plans. While the town in November issued a request for information to solicit responses from firms and individuals interested in purchasing and restoring the church, Town Administrator Danny Davis said it received no formal responses. He said two or three organizations other than the Loudoun Freedom Center would be presenting the Town Council with interest to do so as early as the April 25 meeting. No more freebies. Sell it and put up a 7-11.